As a member of Kuumat Putket, Heli Meklin appears in JUST Queens as several female, male, animal and divine characters. She also created a drag number as a character inspired by appearance and energy of Freddie Mercury and Princess Diana. 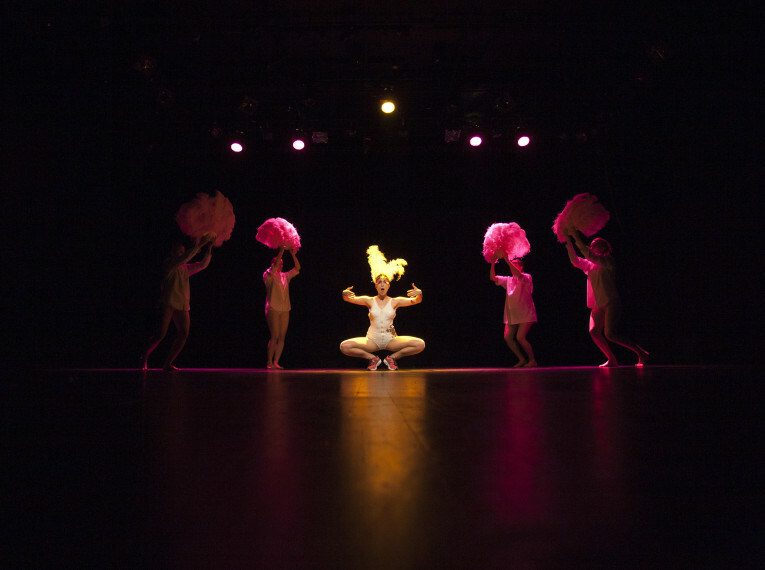 Go Go Dance Group Kuumat Putket approaches the female clichés from around the corner in a form of a drag show. They bring onstage a show in which the categories of gender and performance slide sideways. This easily seductive as well as artistically ambitious performance is built upon the physical and sensual stage presence of the performers. It mixes genres from contemporary dance, drag, burlesque, pop entertainment, theatre and performance art. Queens, warriors, icy divas and odd creatures enter the stage and shine bright. JUST Queens is based on the original idea of Satu Herrala, who co-directed the work together with Maija Mustonen and the rest of the Go Go Dance Group ’Kuumat Putket’ (Hot Tubes).